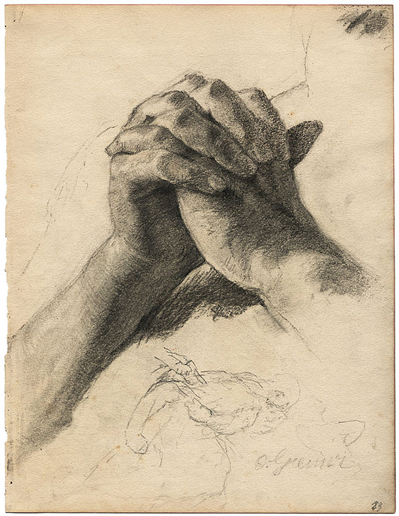 “Praying Hands” by Otto Greiner. Public domain. From Wikipedia Commons. I have a close friend whose life seems stitched together by prayer. Nothing is too big or too inconsequential that it cannot be brought to a God who seems to listen carefully to all her concerns. That quality drew me to her in the first place. 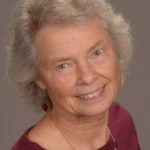 Her intimacy with God exuded warmth and friendship that has lasted since we met nearly 50 years ago. I’m sure she understands this Jesus-prayer better than I do. John 17 is the final part of Jesus’s “last will and testament.” He’s been teaching his disciples with few interruptions since chapter 13. Now he speaks directly to his “Father,” saying, in essence, “I have glorified you by finishing the work you gave me in training disciples; now I ask that you glorify me” (17:4-5). Finally, he prays for those who will come to believe through the work of these disciples (v 20). Is Jesus a high priest or a broker? John 17 is often called Jesus’s “high-priestly” prayer, because he mediates between God and the disciples. Social science scholars of the New Testament prefer to see Jesus’s role here as something else—that of a broker, a person who serves as an intermediary to work out agreements between two parties in a way that benefits both. In using the word today, we probably think of real estate brokers or stockbrokers who arrange transactions between buyers and sellers. But to understand the analogy of Jesus as a broker in John 17, we need to be aware of the patronage system of ancient times. Greco-Roman culture was structured as a pyramid with descending ladders. The emperor was the Supreme Patron, and beneath him was a whole system of patrons and clients. The heads of every household had some higher class person who was considered to be their patron; and they, for their part, were considered that patron’s clients. Using this analogy in John 17, we can view Jesus, as a broker, negotiating the relationship between the patron (God) and the clients (disciples). With no democracy or government social services, people did not survive socio-economically without a patron to provide a market for goods or helping out when things were especially tough. Clients in turn were obliged to repay their (usually male) patrons with public honor—the highest value in ancient society. As more and more clients honored him, the higher the patron’s status rose. Honor is synonymous with “glory,” which is why Jesus uses this word so often to say that he has glorified his Father by making “your name known to those whom you gave me from the world” (17:6). As a broker between God and the disciples, Jesus honors God by bringing in these additional clients. He has protected and guarded them from “the world” so that “not one of them is lost except the one destined to be lost” (v 12). They in turn are expected to serve as brokers and bring in new recruits. “As you have sent me into the world,” says Jesus, “so I have sent them into the world” (v 18). 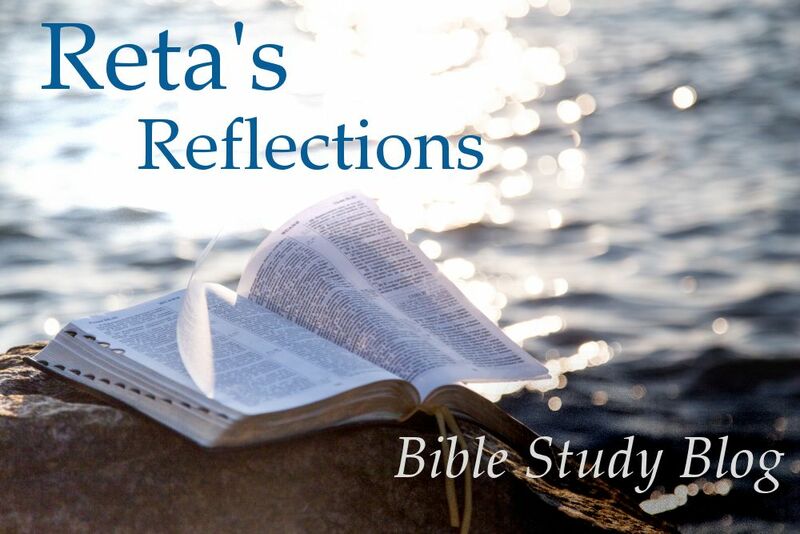 “I ask this…on behalf of those who will believe in me through their word” (v 20). Read through this prayer and look for recurring lines that repeat this patron-broker-client concept. Jesus’s prayer begins with great confidence that his Father will honor him. It sounds as though he is about to be crowned emperor of the world the next day! Yet we know the reality is the total opposite: he will soon be publicly shamed and humiliated, dying in agony as a condemned criminal. We have seen throughout this Gospel that the author deliberately writes in an ironic mode. It is nowhere more striking than in the contrast between this majestic prayer and what comes next. Although the patron-client relationship is used between humanity and God, Jesus is clear that this should not be practiced among believers. The goal of Jesus’s work with his disciples is not to act superior to them (remember the footwashing in John 13?). Instead he asks God to “protect them…so that they may be one as we are one” (v 11). Later, he asks “also for those who will believe in me through their [the disciples’] word, that they may all be one” (vv 20-21). The level of intimacy between Jesus and his Father/Mother is to be the pattern for all believers. No more pulling rank over others because of higher social status. That is how “the world” works. What does “the world” mean? The Greek word for “world” is kosmos. These terms have diverse meanings in both languages; “world” or “kosmos” can mean the universe, the planet, all people on earth, or a way of life, etc. Although in John 3:16, “God loved the world so much God gave God’s son…,” here in John 17:14-16, “the world” is anyone who is an enemy of Jesus and his teachings, anyone who rejects or persecutes those who belong to the alternative community he has established. 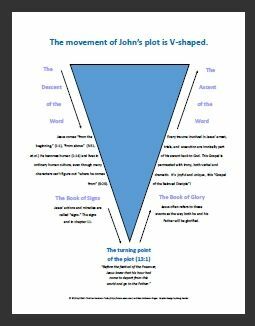 In that sense, the Johannine community might be called an “antisociety” or “counter society,” since its commitment to Jesus as God’s Son and a nonhierarchical way of life differ radically from the values and practices of “the world.” If the author of this Gospel lived in cosmopolitan Ephesus (a tradition, as mentioned in lesson 37), what might “the world” mean in that context? 1. In 17:6-19, Jesus prays for his disciples, at that time numbering only a few men and women. Is this all Jesus has to show for his efforts? Or does this prayer reflect a later time when there are many more believers? Compare this prayer with Mark 14:32-42 (Jesus in Gethsemane). 2. Which depiction of Jesus as he anticipates arrest seems more realistic? Explain the use of irony at this point in the narrative. 3. Can you read yourself into Jesus’s prayer as one of “those who will believe in me”? (v 20). In what sense might “the world” still be an enemy of those loyal to Jesus? Are such “worldly” opponents primarily secular or religious? I loved the insights you give here into the patronage system and how God’s plan supersedes this. Well done!